Jack the kelpie cross endured the unthinkable – a gunshot to the head. 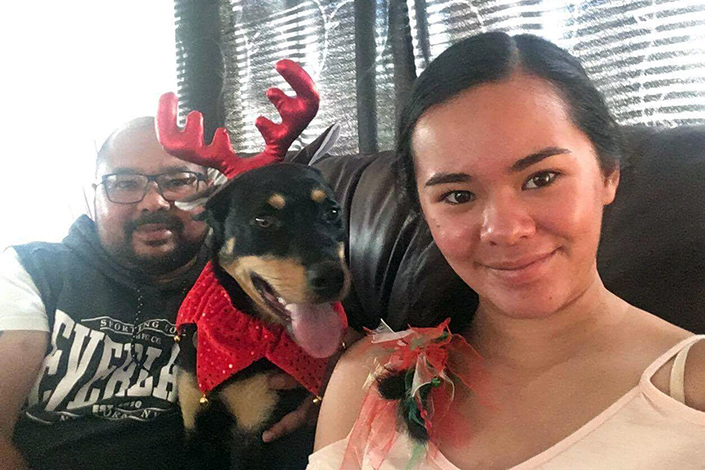 His survival was a miracle, and now, he gets to spend Christmas in a safe home with a loving family. 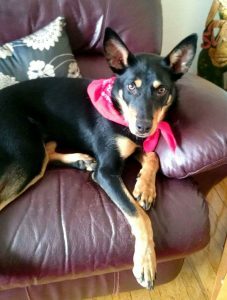 Joseph and his family were looking for a kelpie to adopt, when they came across Jack’s adoption profile on the Home’s website – he sounded like the perfect match. From the moment Jack got into the car at the shelter, he knew he was home forever,” said Joseph. “Jack is so relaxed at home and always has a smile when I return after work, he knows it’s ‘walkies’ time. Jack has formed a very special bond with his 16-year-old human sister, but shares his endless loyalty and devotion with the whole family. Shelter pets make great pets because they know they’ve been given a second chance and are grateful,” said Joseph. Jack’s care and rehabilitation were only made possible thanks to the support of our kind donors. Learn how you can help change the lives of vulnerable pets just like Jack and give them the greatest gift of all – a forever home.